Norwich FarmShare is running an all-ages Open Day event, 11am to 4pm on Saturday 15th September. The group will be celebrating the first harvest at its new farm, and inviting new members to join its pioneering community agriculture scheme. As well as workshops, farming activities and a barbeque lunch, there will be tables showcasing local produce, including Norfolk Honey and beans from award winning organic farm Hodmedods. There will be music from local acts including Eastern Straynotes (jazz and Klezmer), indie band Stromm and singing duo Off the Cuff. 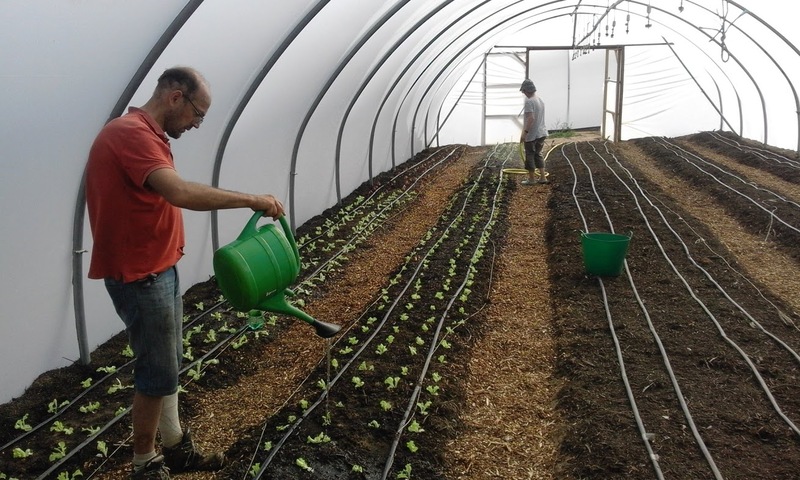 Following its successful crowdfunder last year, the group has been busy setting up infrastructure on this new three-acre growing site and planting its first overwintering salad crops. It is working to an ambitious vision of getting all three acres up and running by the end of next year. Bee Springwood, currently Chair of Farmshare’s volunteer board, will be presenting a history of Norwich FarmShare at the event. “FarmShare has great potential to improve lives, whether it’s through eating more healthily, learning new skills, spending time outdoors or just being part of a big-hearted community,” says Bee. “Getting up and running on this new site means we will be able to deliver our aims more fully – promoting sustainable use of the land using ecological growing methods, and contributing to a diverse and resilient local economy. Our vision is to build community and to celebrate seasonal, local produce, and that’s what our Open Day event is all about”. Next: Next post: Going Going Gone!